The story of the Disney Movie "Cars 3," released in theaters in June, 2017, was one many can relate to: Blindsided by a generation of fast racers, Lightning McQueen finds himself sitting on the sidelines, pushed out of the sport he loves so much. Together with the technician Cruz Ramirez, he finds a way to recover his confidence, improve his skills, get back into the race and go wheel to wheel with this new crop of competitors. 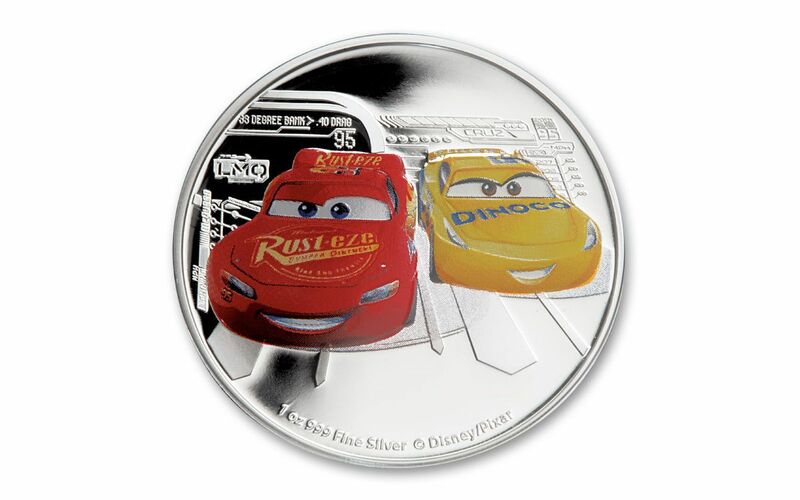 The movie was a box office success, beloved by audiences young and old--and so is the newest Cars series commemorative coin, newly issued in 2017. Struck at the world-renowned New Zealand Mint, the NIUE 2017 $2 Silver Cars 3 Proof coin offers stunning engraved images highlighted with brilliant color. 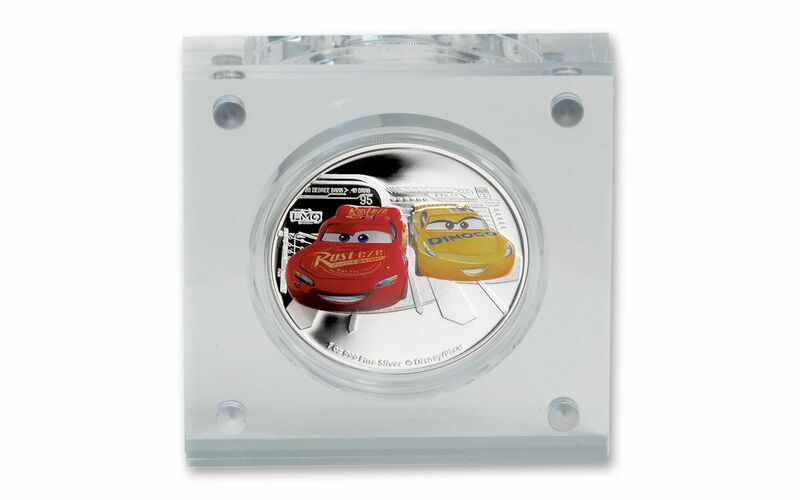 It’s an ideal coin for fans of Disney movies or car racing…and the perfect coin to start a new young coin aficionado’s collection. The coin is proving particularly popular, however, so act now to get yours from GovMint.com. 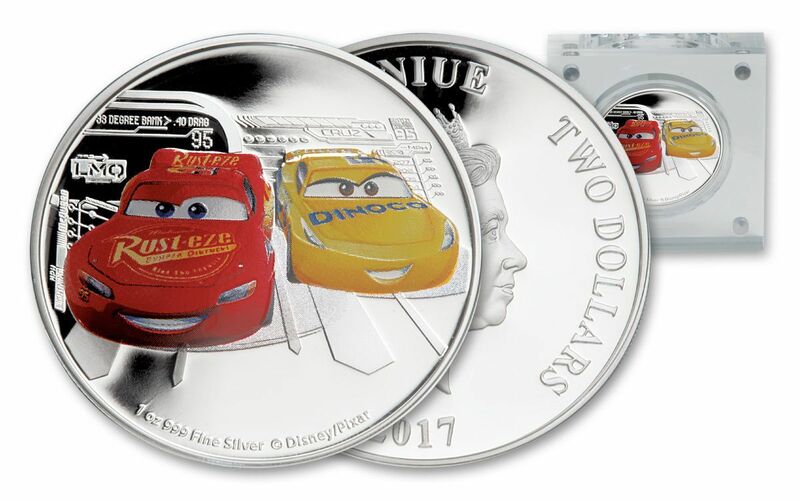 Featuring two beloved characters from the Disney canon, the NIUE 2017 $2 Silver Cars 3 Proof is a winner in design and quality. It contains one ounce of 99.99% fine silver, and weighs 31.103 grams. The coin is also an impressive 40 mm in diameter, allowing any viewer to truly appreciate the craftsman of its design. 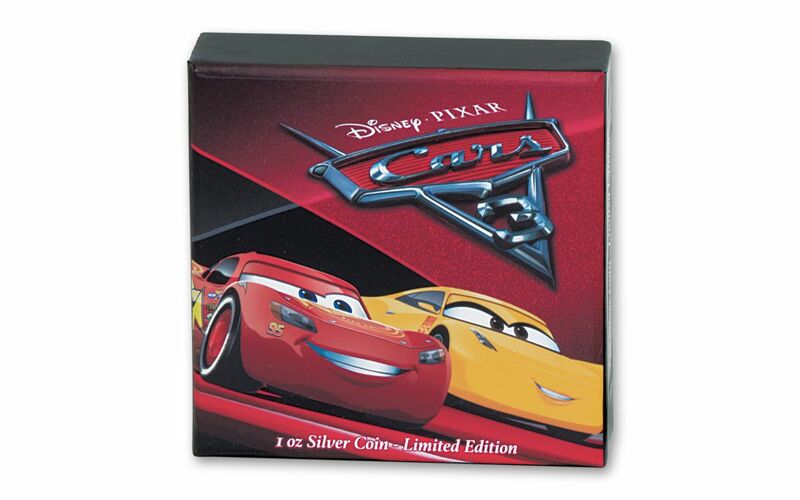 FANTASTIC COLORATION OF A FAN FAVORITE DUO-- Captured in bright red and yellow enamel tones, the reverse of the coin features Lightning McQueen and his new trainer, Cruz Ramirez leaping out from a background of engraved racing graphics. Inscribed on the reverse are the words "1 OZ 999 FINE SILVER," and "© DISNEY/PIXAR." The coin also features a distinctively serrated edge. The obverse of the coin, based on a sculpture by Ian Rank-Broadley, depicts the elegant profile image of Her Majesty Queen Elizabeth II. It’s surrounded by the inscriptions "ELIZABETH II", "NIUE", "TWO DOLLARS", and the date "2017." At the base of Queen Elizabeth II’s profile are the designer’s initials "IRB." LOW MINTAGE, PERFECTLY PRESENTED-- The mintage of this popular commemorative coin is only 10,000 pieces, and it’s easy to see why it’s moving fast. Perfect as a gift for an avid collector or Disney fan, your coin will arrive in a a see-through acrylic block holder, along with a graphical presentation box. PROOF CONDITION-- Proof coins are collector favorites, because beyond never seeing actual circulation, they are manufactured using specially made dies to ensure the crispness of the strike and fineness of detail. 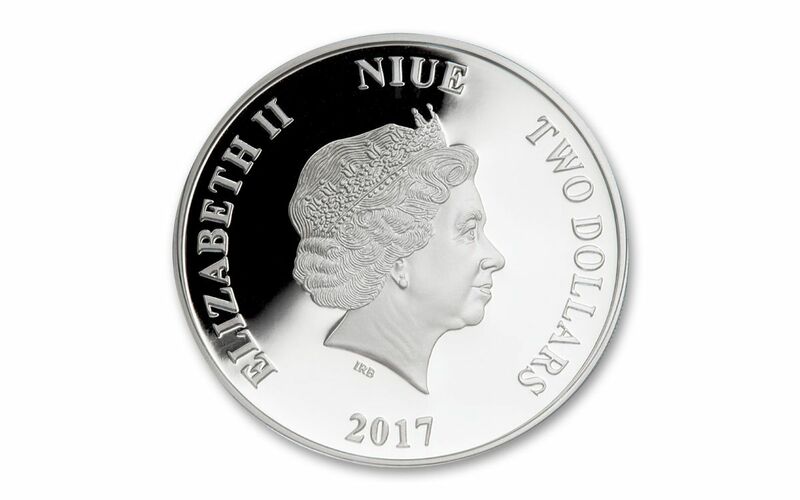 GENUINE LEGAL TENDER -- Though the value of this coin is most definitely in its imagery, your NIUE 2017 $2 Silver Cars 3 Proof is certified as $2 NIUE legal tender. If you’re ready to add the dynamic duo of Disney Cars Lightning McQueen and Cruz Ramirez to your collection, act fast! Call GovMint.com to secure yours, today.